Ecommerce can be daunting at the best of times, let alone creating a store on a platform that's more focused on people and handmade products than most of its competitors. That's why this Etsy store setup checklist exists. This process will take you through the ins and outs of setting up your own Etsy store and breaking into a market of 31.7 million active buyers. From choosing a name that your audience will remember (as isn't already taken) to deciding what to sell and crafting an attractive profile, use this checklist to get your online store set up in next to no time. First off, you should record your personal information using the form fields below. 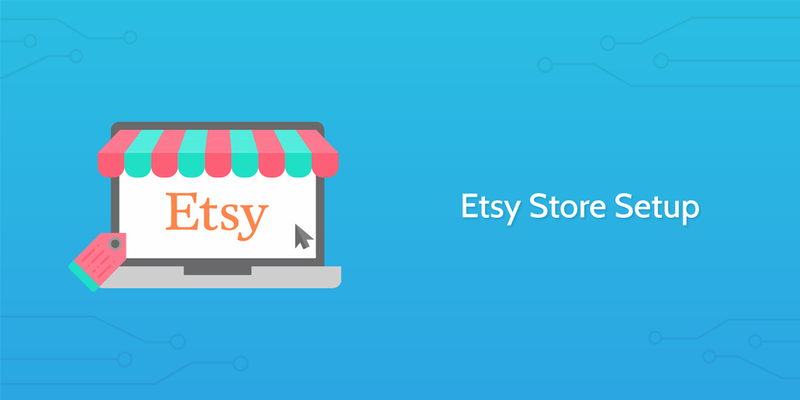 This will save you time later on as you work through the Etsy store setup process. It also serves as a great practice for your processes in general - having all of your information in one place makes it easy to review checklists you've completed in the past, since you don't have to dig through various sources to find all of the relevant information. 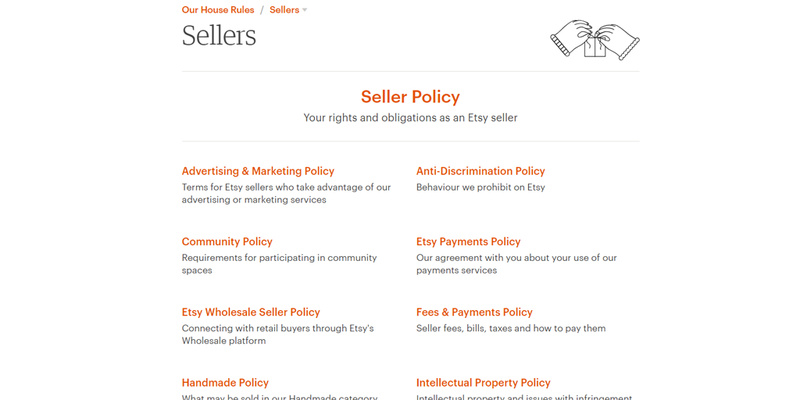 Read through Etsy's seller rules in order to get to grips with the legal side of setting up a store on their platform. While it might seem like a lot, this is vital information for anyone looking to host their products on the site. For example, their list of prohibited items will show you what you aren't permitted to sell on their platform. There's no point in setting up an Etsy store if you have nothing to offer, so now is the time to decide what you'll be selling. If you're unsure, try searching what the best selling Etsy items are and thinking of how you could make your own version with unique appeal. Record your products using the form fields below, including a .zip file of the photos you plan to upload to their listings. Now it's time to choose a name for your Etsy store. Do so by working through the sub-checklist below, then record your final choice using the form field in this task. If you're really struggling, try one of these helpful Etsy store name generators, collected by Gary Capps. Checking for trademarks can be a pain, but helpful databases like the United States Trademark and Patent Office provide an easy way to search your desired name. For extra help with creating and checking your perfect Etsy store name, check out Taylor Combs' article on the topic. Now you need to sign up for (or log into) an Etsy account. 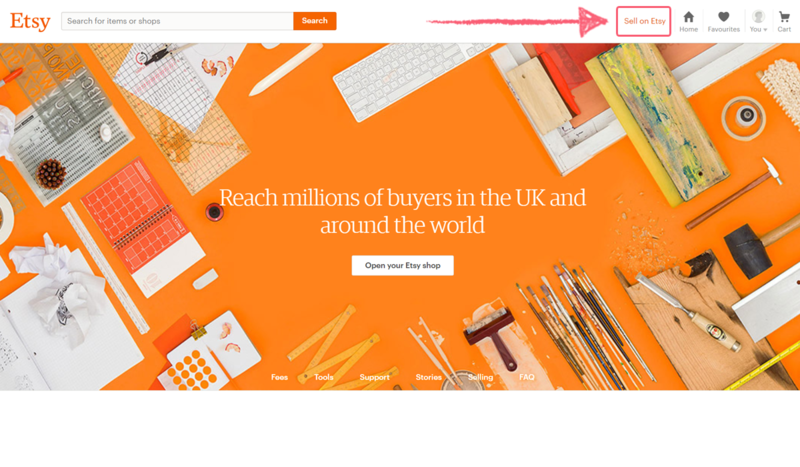 There's no special trick here - just head on over to Etsy's site, sign up for an account (or log into an existing one) and record the login information for it using the form fields below. This will make sure that you never lose your login information. This step's easy - all you have to do is click on "Sell on Etsy" and then on the "Open your Etsy shop" button in the middle of the page. Don't worry about the last question too much, however, as it doesn't actually affect your Etsy store setup. It's merely a piece of extra information for Etsy to get to know their users better. Enter the store name you picked earlier in the process and check its availability. If you checked Etsy during the name-picking process, all should be good and you can continue. For the sake of ease, check below to see the name entered in the earlier form field. If the name is taken, refer back to your list of names and try your second choice. Rinse and repeat until you find a name that you're happy with, and is available. Next you need to list the products that will be offered on your store. This is done one at a time through the Etsy store setup wizard. Work through the sub-checklist below to ensure that all necessary fields are completed. 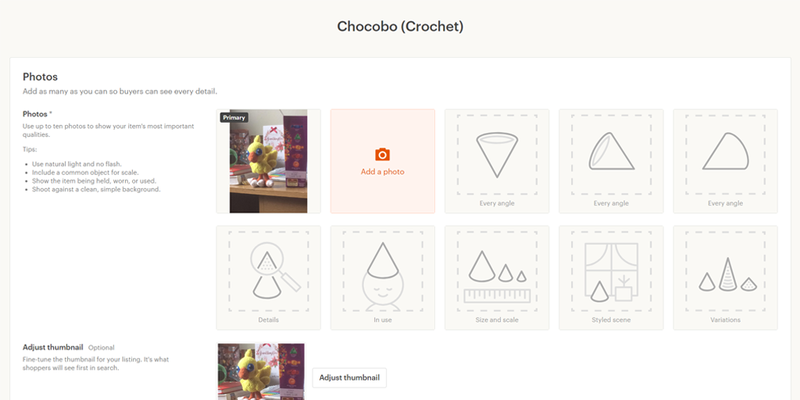 The Etsy setup wizard provides helpful tips for if you get stuck. For the sake of ease, we've pulled also through your "Etsy Product Details" form field entry from earlier - check it out below. Once you've finished listing at least one product, click "Save and Continue" to carry on the process. You're almost there! Now it's time to enter your payment details. As with your product details and store name, check below to see a collection of your personal and bank details as entered at the beginning of this checklist. The final step of your Etsy store setup (or, at least, the hard store details) is to enter your billing details. This includes the card that will be billed for your Etsy usage and the billing address for said card. Once again, we've pulled through the credit card information you entered earlier to make this easier. The final step in this Etsy store setup checklist is to edit your profile and fill it with information. 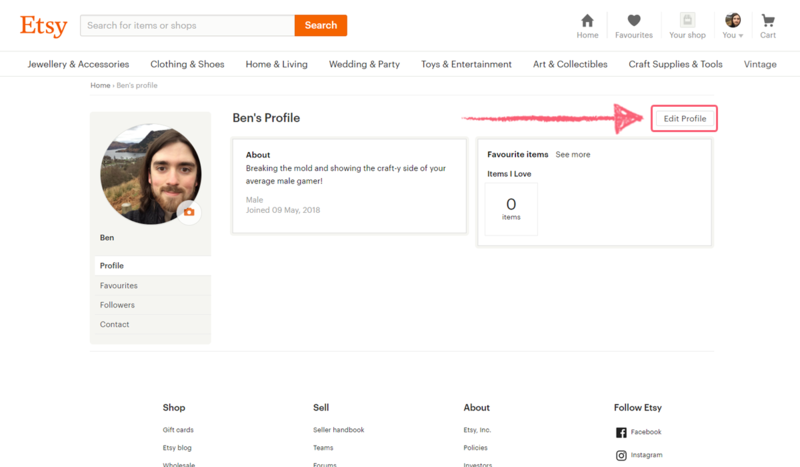 Do this by clicking your avatar in the top right of your Etsy dashboard, clicking "View profile" and then on "Edit profile". Etsy is a more personal marketplace than stores such as Amazon, so it's a good idea to fill in as much information as you can. However, at a bare minimum, you should aim to work through the sub-checklist below. Congratulations - you've finished the Etsy store setup checklist! Happy hunting, and don't forget to check out the rest of our ecommerce templates for more tips on running an online store.